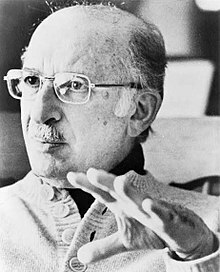 Bernard Malamud (April 26, 1914 – March 18, 1986) was an American novelist and short-story writer. His stories often take the form of moral fables dealing with the struggles of Jewish-American characters. We have two lives, Roy, the life we learn with and the life we live with after that. Suffering is what brings us toward happiness. Without heroes, we're all plain people, and don't know how far we can go. Levin wanted friendship and got friendliness; he wanted steak and they offered spam. Those who write about life, reflect about life…. you see in others who you are. This page was last edited on 11 September 2018, at 21:29.